Ginger root is used worldwide in the cuisine for its flavor and aroma. Moreover, this plant is known for its medicinal properties, having antibacterial, antiviral and antioxidant properties. This plant, so appreciated around the world can easily be grown in pots. Here’s how to do this. Ginger roots, such as potatoes, can germinate. If you one already germinated, the better, if not, all you have to do is to sink the ginger root in a bowl with warm water for at least three hours. Meanwhile, fill a pot with topsoil. Make sure you choose a soil that doesn’t retain too much water. Put the ginger root in the ground and cover it with soil. If the ginger root is already germinated, take care to place it with its sprout up. But you should know that ginger grows pretty hard, so you must have patience. It can take up to several weeks for the plant to germinate, but with special care in a few months you can enjoy a beautiful plant. Positioning the pot is very important for the plant. You should keep in mind that ginger should be kept in a warm place, even in winter. At the same time, make sure the plant is not placed in direct sunlight, but it has enough natural light. Ginger needs a soil constantly moist but not overly soak. Make sure you pour a drop of water every day. In summer you may water it twice a day. In order not to excessively water the plant, use a spray bottle. 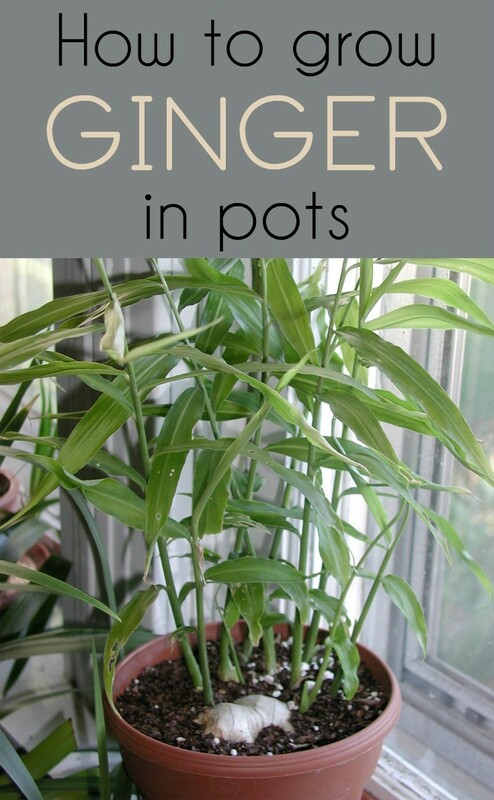 When the plant grows, spray the water on its leaves, not only on its root, because ginger loves humidity. In order to stimulate its growth and to enjoy a bushy plant, add a seaweed-based natural fertilizer every two to three months. The best part of growing ginger is that you can enjoy its flavor and aroma in your preparations. When the plant has already four months, you can begin to cut small pieces of root. For this, you must carefully remove some of the soil to reach the roots and to cut as much as you need.